For bookings more than 15 nights, there will be 10% discount. 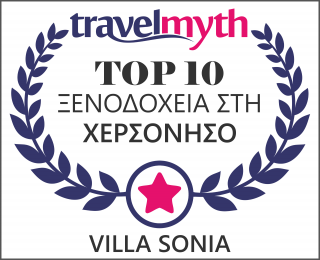 Villa Sonia is a group of self catered apartments located in Hersonissos, a popular tourist resort on the island of Crete. Located in a quiet spot near the town center, Villa Sonia, rests comfortably in front of the beautiful Cretan sea, combining high quality with a comfortable family atmosphere. 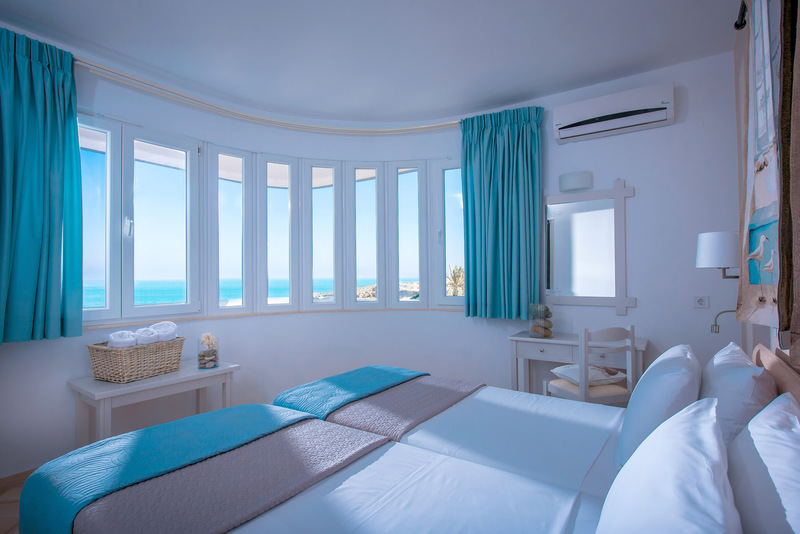 It is 200m away from the conference center and the port of Hersonissos, 23km from Nikos Kazantzakis Airport, 24km from the Heraklion Port and just in front of the beach! 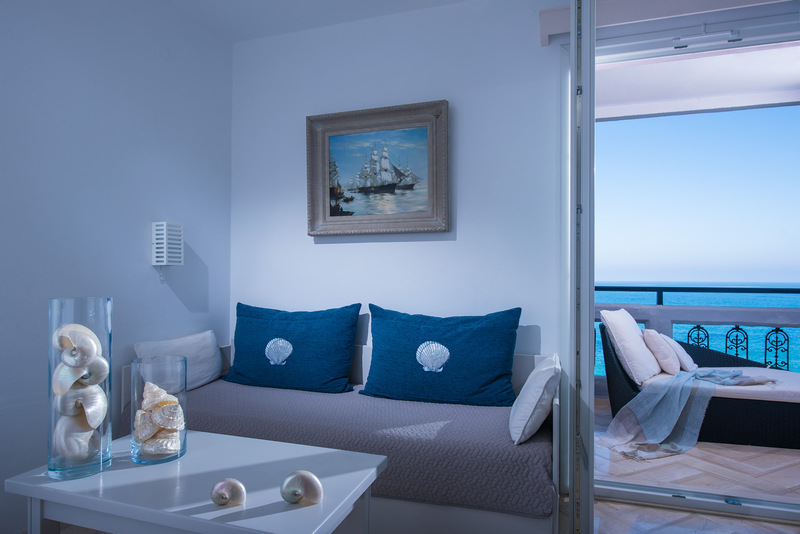 Superior Apartments are contemporary designed, providing an atmosphere of relaxed elegance. 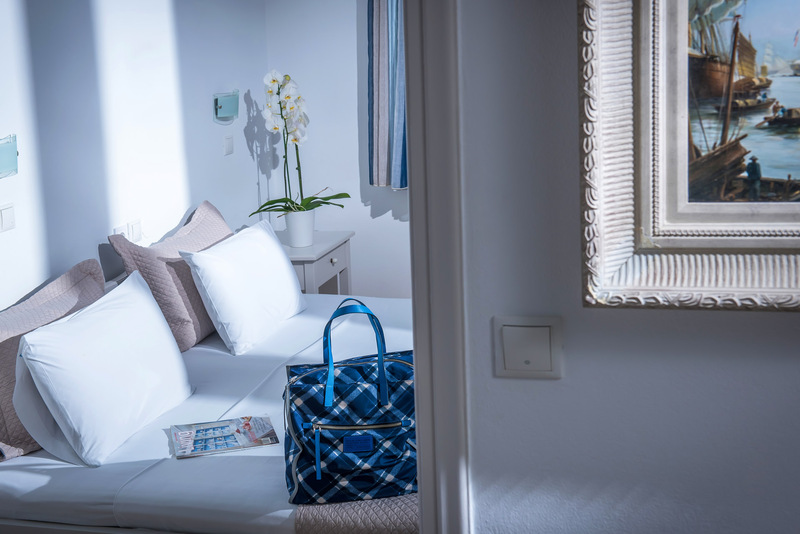 The studios of Villa Sonia present a balance of comfort and minimal style. 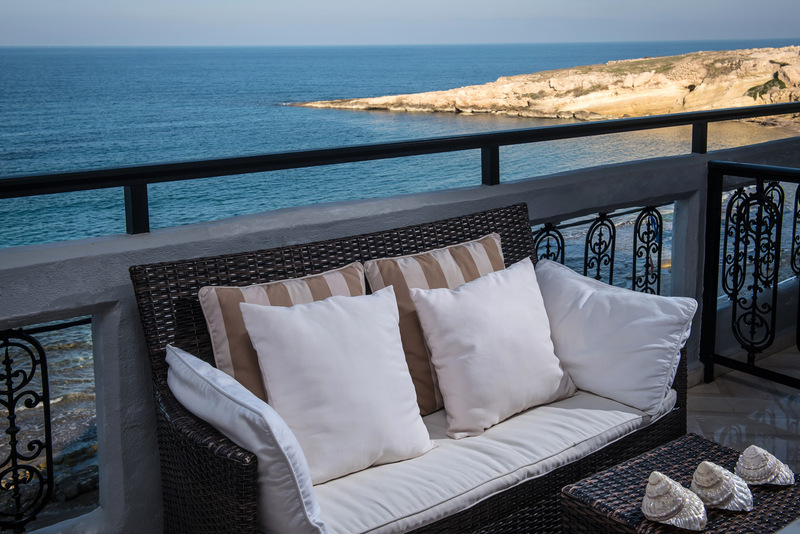 Overlooking the deep blue sea, the elegant furniture in your balcony will offer you unique moments of relaxation. Combining comfort with minimal style, the studios of Villa Sonia present a sense of balance and harmony. Great place, close to the beach, very clean, the room was complete (with refrigerator and stove) and the staff was super friendly. Wir haben die Unterkunft gebucht, da wir am nächsten Morgen einen Flug in Heraklion hatten und nicht zu weit fahren wollten. Für diesen Zweck ist die Unterkunft optimal, wenn die Ortschaft auch sehr touristisch ist. Das Apartement ist schön und gross und wir hatten dazu einen Balkon mit direkter Meersicht. Gerne wieder! Красивый вид,близость моря,чистота номера.Приветливый персонал.Месторасположение,рядом много магазинчиков и кафе.Очень понравилось.Надеюсь в следующем году вновь посетить этот отель. The location is perfect. Seeview room with furnished balcony. Few steps to beach and restaurants and some shops are close also. I appreciated the iron and ironing board in the room. Locatie is prima, net buiten de drukte maar toch alles op loopafstand. Erg vriendelijke gastvrouw, die je hartelijk ontvangt. De badkamer was ook erg netjes! Grandioser Meerblick mit dem Gefühl auf einem Boot zu sein. E' una bellissima sensazione farsi cullare dalle onde del mare al risveglio e scendere in pareo per tuffarsi nello splendido mare di Creta. This is a self catering apartment. I attended a conference, made a last minute booking and had no idea where I would be staying but will come back on vacation with my family next year. Very close to the conference center, perfect view from the balcony. Clean and the staff always there to help you. L'appartement est confortable, propre, bien équipé, bien insonorisé. Très bel établissement, personnel disponible et à l'écoute. Magnifique vue sur la mer depuis notre balcon. Very good and quiet location, but still very close to the party places. Well decorated and very clean room and amazing see view. Tutto è stato fantastico! Consiglio questa struttura a chiunque senza alcuna distinzione ci si sente a casa. Grazie anche al calore delle persone che la gestiscono sono straordinari! Está muy bien situado, a solo 10 metros de la playa y a tan solo 5 minutos andando del centro de Hersonissios. Sehr schöne Lage direkt am Meer. Ausgesprochen freundliche Betreuung vor Ort. Saubere und modern eingerichtete Zimmer.